Disclaimer: This device is not on VMware's HCL, and is not officially supported by VMware. See also VMware USB info here and here. Note that I'm still doing some testing with a variety of equipment, and am awaiting the RTM vSphere 6. But so far, using Rufus with this particular SanDisk continue to do well for building my bootable installer that also becomes my installed ESXi boot drive. Jan 05 2016 Update - It's now a year later, and I've bought dozens more of these, with excellent results for many Windows 10 deployments, a Nutanix CE install, and dozens of ESXi 6.x installs. I've also solved my labeling problem, with others adopting a more colorful approach. I've even shipped many of these little guys to Wiredzone, to make sure they can continue to include them with every SuperServer bundle. This tiny device, affordable device is the front-runner of many such drives I've tried. Verbatim, Leef, HP, and others. It's working well with many systems I've tested it with. 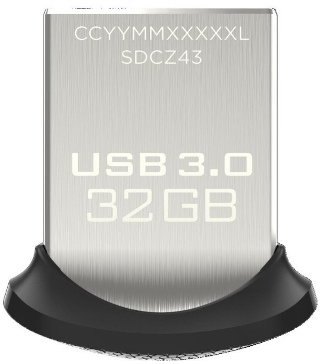 Also handles newer hardware, but you may need to set the BIOS to enable USB legacy mode support, just in case you encounter issues booting this USB 3.0 device on such systems. It has a tiny and discreet red LED to indicate write and read activity. Note that the boot speed off this device has no correlation with the speed you'll find the hypervisor runs its VMs, since ESXi runs from RAM. But the USB 3.0 speed has everything to do with getting the ESXi installer on there, taking less than 15 seconds, and this device is likely to be easy to find affordably, and manufactured for years to come. Everything but Stromboli, LLC is where TinkerTry.com, LLC buys these brand-new/sealed drives, sent directly to Wiredzone.com, Inc. for inclusion in all SuperServer Bundles! Please revisit this article to check for updated status on my ongoing tests. Decided the price between 16GB and 32GB was so minimal that 32GB has become the new recommendation. Image and links in the article above now updated.